All AMERICAN FLAG homes currently listed for sale in Park City as of 04/25/2019 are shown below. You can change the search criteria at any time by pressing the 'Change Search' button below. 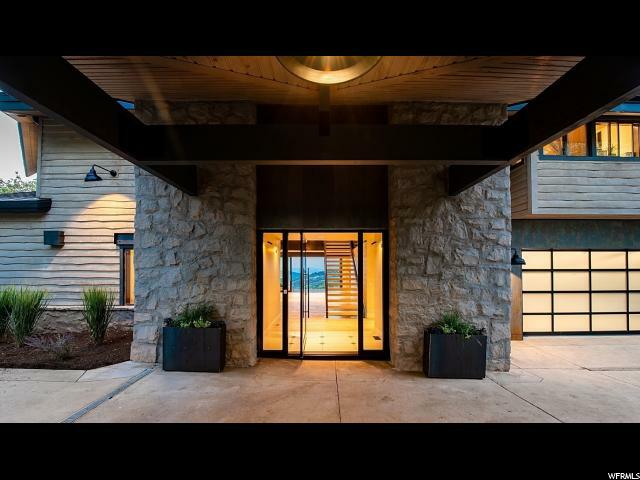 "Incredible Remodel with Huge Views and Private Ski Access in American Flag!! This newly remodeled home features high ceilings, expansive windows, and remarkable views throughout. The living room has a stone wood-burning fireplace, vaulted ceiling, and tall windows and opens into the dining room and kitchen. The dining room features an additional stone wood-burning fireplace and accordion glass doors that open completely to access this floor's large deck with built in grill. The kitchen boasts Wolf, Sub-Zero, and Asko appliances, beautiful cabinets and counter tops, and high-end finishes. A powder bath and two bedrooms, each with on-suite baths, round out the main level. The spacious and luxurious master suite is on the top floor with a stone fireplace, vaulted ceiling, and incredible views. The lower level access the private ski run/ski lift and includes a ski locker room, a living room with the home's fourth stone fireplace, a flex-room with floor to ceiling windows to take in the views, and two additional guest beds with on-suite baths. " 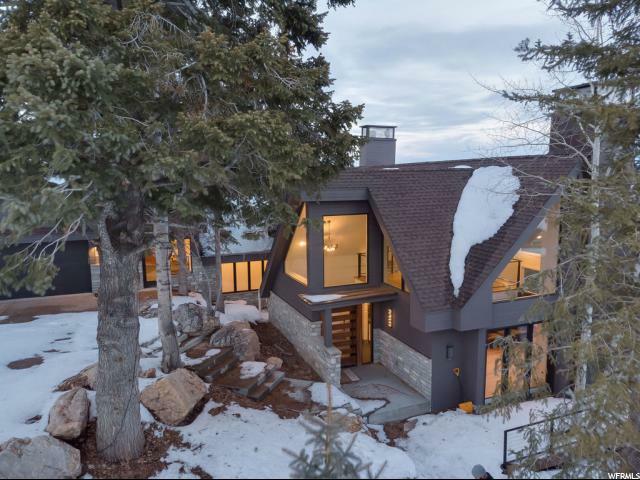 "This exceptional property will excite your senses with leading edge aesthetics combined with thoughtful design in a premier Deer Valley location. Upon entering the home, you will be greeted by a crisp, fresh and modern atmosphere. The carefully selected materials and fixtures include white oak flooring, marble counters, European style cabinetry, elegant steel railings and stairways, extensive LED lighting with Lutron controls, new sliding window wall and entry door and many custom distinctive light fixtures. The extensive floor to ceiling windows capture tremendous views of Old Town and the surrounding mountains. The thoughtfully laid out floor plan includes a fully contained 2 bedroom guest quarters with it's own entrance, kitchen and living area that can also be seamlessly incorporated with main home. More than just a resurfacing, the home has been completely rebuilt and has incorporated the latest state of the art insulation, plumbing, a/v, lighting and smart home technologies. "